A while back we received a very generous donation from Karis and the wonderful girls in Windsor Residence Hall at Purdue University. 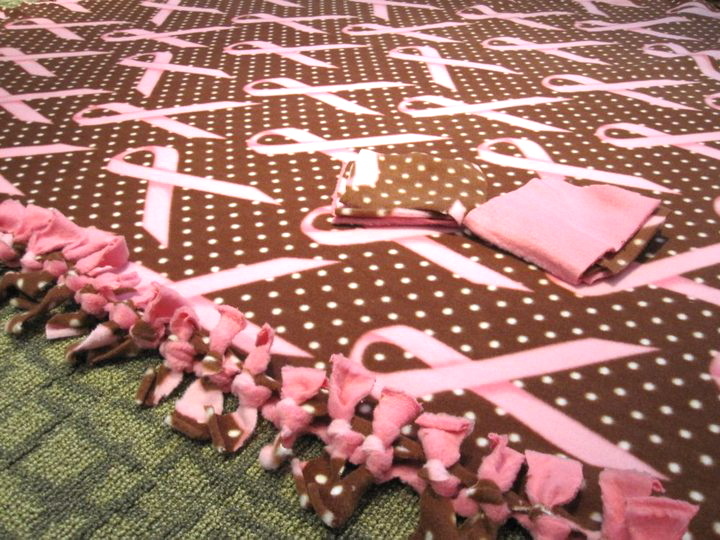 They made blankets specifically for breast cancer patients who are going through chemotherapy, along with beautiful homemade cards for each patient. Recently Karis sent me so photographs from their blanket tying night that I wanted to share on this blog. Their decorations for the event were awesome! What I love about this type of event and what many people who have donated blankets to Layers of Love have said to me is that this event lends itself to friendship, collaboration, conversation, and a great feeling of community. 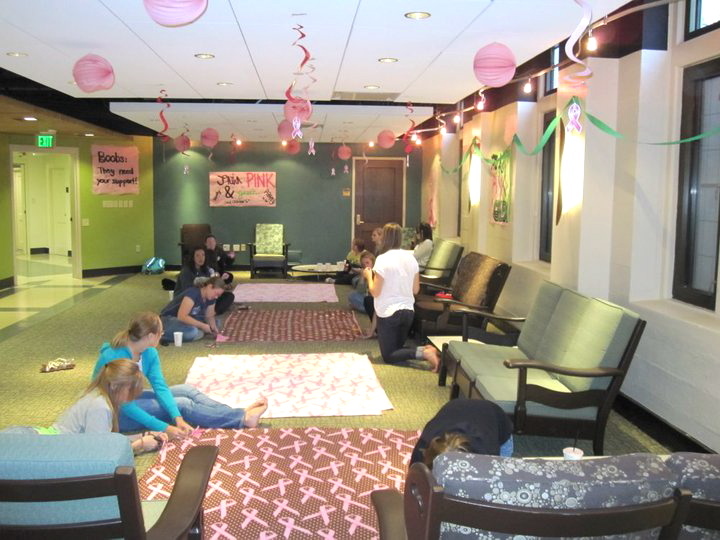 Over the past year we have a great many groups prepare and donate blankets, and they have all mentioned how much fun their group had while preparing them. These wonderful girls from Purdue University, took valuable time out of their very busy college education, to come together to do something special for a great cause. Layers of Love is extremely grateful that they chose our cause to work with. We thank them not only for their generous donations but sharing their event with us, so that we could in turn share it with you. If you would like to read the original post about the generous donation from Karis and the girls of Windsor Hall at Purdue University you can do so here. 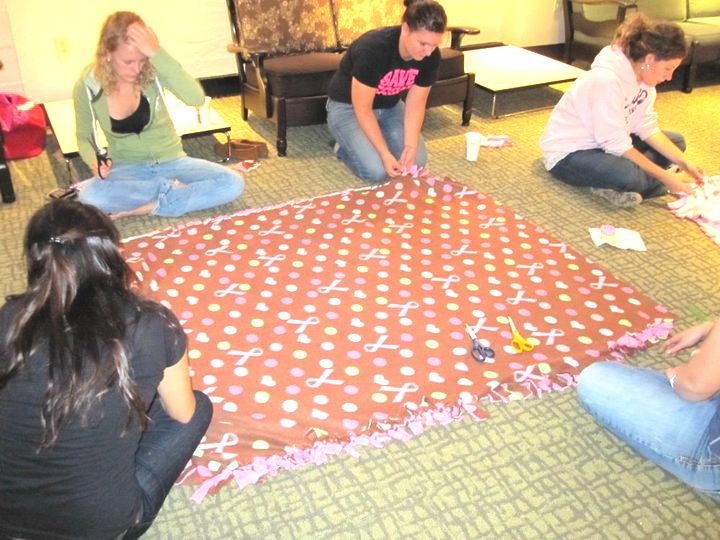 We have worked with many groups over the past year, if you and your group would like to prepare blankets to donate to Layers of Love, contact us here through the comments or you can email us at: donations@layersoflove.net We will be more than happy to help you and your group in any way we can. 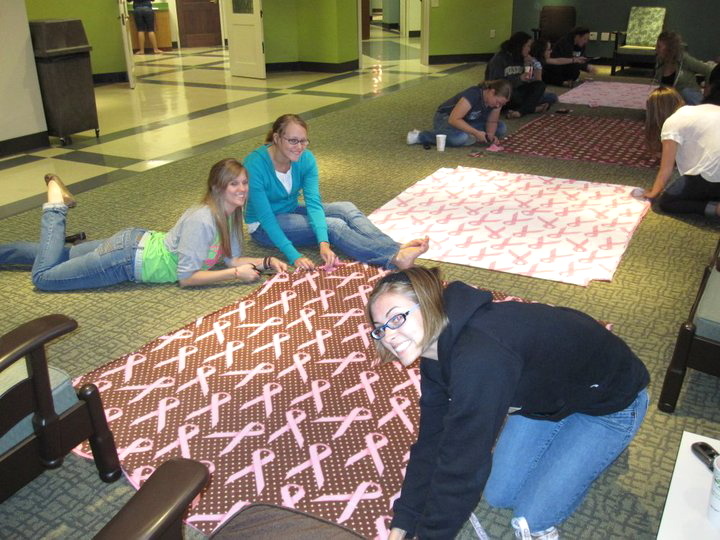 This entry was posted in Donations and tagged blankets, collaboration, community, Donations, Purdue University. Bookmark the permalink.